Little things will make him/her smile. 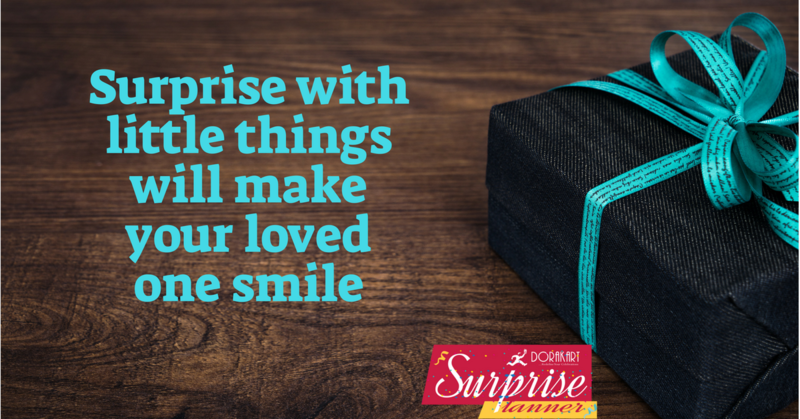 Surprise contains different things will provide by client (or) Select from below things. 1. Maxium things should be 8 to 10. 2. Create memories by making an appeal that lasts for long.